What the Smurf? Smurfette has gone missing and we need help to get her back; 4 player co-op help. The Smurfs 2 is an upcoming co-op title linked to this summer's box office behemoth of the same name. The game is Smurfing out on the 23rd of July across PS3, 360, Wii and Wii U. As a special Wii U treat, these gamers will be able to have an additional 5th player on the GamePad - that Smurfs! 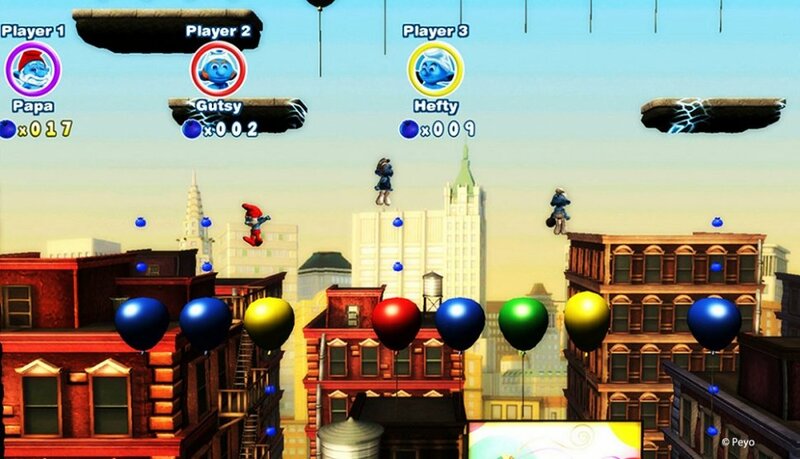 The Smurfs 2 is a single screen platformer, similar in style to New Super Mario Bros U. However, there are added puzzle elements as each Smurf has a slightly different skill that will help the entire group to progress. Papa Smurf is able to freeze the enemies, whilst Vanity can pose and act as a temporary platform. Combining the skills of all 4 Smurfs (and on the Wii U, a 5th) will help everyone complete the level.